Mardonius leads an invasion force through Naxos, burns it to the ground. Marks first Persian invasion of Greece. Inspired by the concept of Freedom and Democracy and outnumbered 3-1, Athenians hand Persia first ever defeat under the leadership of Militades on the shores of Marathon. Much debate going into the battle whether to meet the Persians at the coast, or fight in Athens. This battle is seen as one of the most important moments in history, if the Greeks had lost, Western civilization would have never developed. 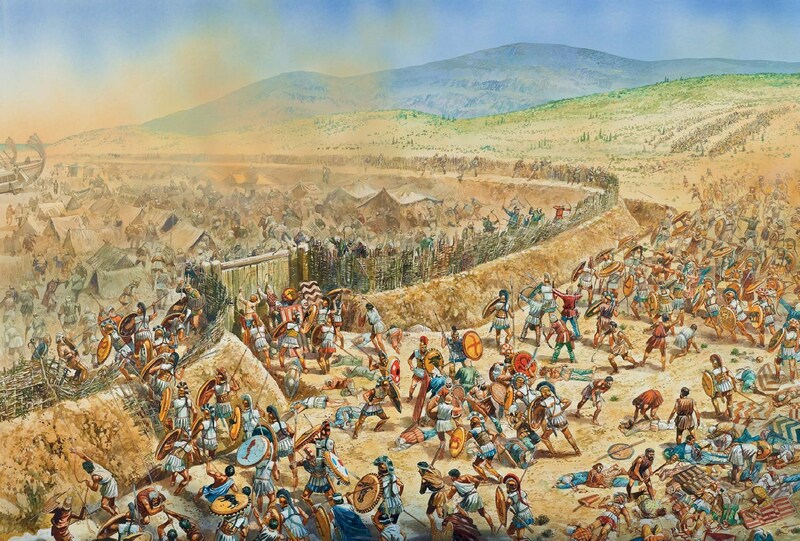 This battle was fought after the the Greek retreat from Artemisium. 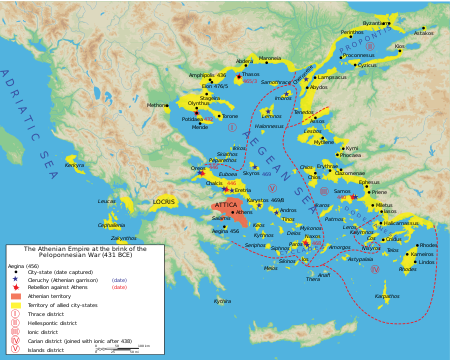 The Greeks lured the Persians into the narrow straits of Salamis, where they then proceeded to ram the oversized Persian ships, with the small sturdy Greek triremes. This flaw in the Persian fleet was exploited by the brilliant Greek mind, Themistocles. Turning point in the war for the Greeks, Persian fleet was crippled after this battle. Greeks assemble a huge fleet and catch the resting Persians on the beach that were hoping to avoid a battle and slaughter them. This would be one of two battles that would end the Persian land invasion force. League formed by Greek colonies for the protection, and to fight back against Persian resistance. Would later be a source of conflict between the Greek colonies after Athens would begin to act imperialistically. 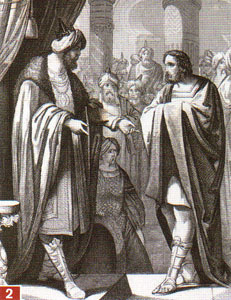 Both Persia and Athens come to an agreement to end conflict. Persia gives back Ionian colonies back to Greece, marks end of dispute of Greco-Persian Wars. The Battle of Plataea was the final land battle during the second Persian invasion of Greece. Mardonius and the Persians face a large Greek land force, where the Greeks initially extend to far and order a retreat due to miscommunication with the lines, Mardonius foolishly orders an advance of Persian infantry, only for the Greeks to stop in their places and cut them down, ending the Second Invasion Force. 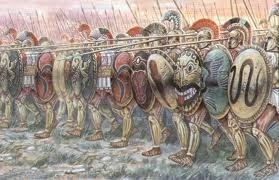 300 Spartans and a force of Athenians take a stand at the the "Hot Gates" to prevent Persia from entering Greece. 300 Spartans die heroically in defense of their country and values and take 20,000 Persians to the grave , huge moral boost for Sparta. 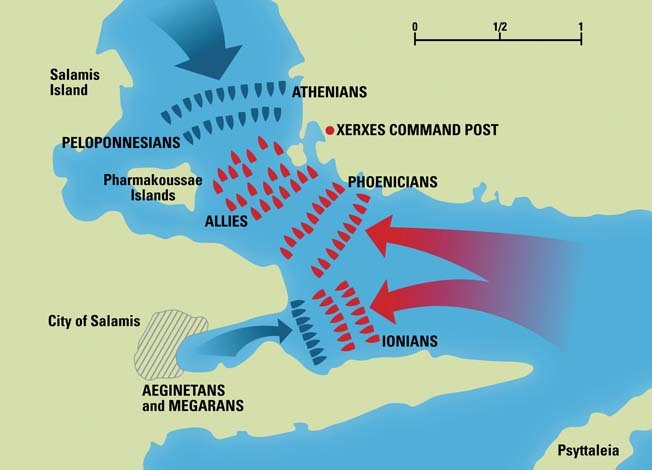 At the same time the Greeks defeat the Persians at sea, demonstrating Athenian naval superiority. The 3 day fight is won, but the ships are forced to fall back because of the defeat at Thermoplyae. This would now lead to the Battle of Salamis.